Take time for yourself and your friends. You’ll find Wainuiomata is a relaxing and friendly club where you’ll feel welcome. Whether it’s a full round or a couple of hours to play 9 holes, we can fit you in, and we'll even try to match you with other golfers of similar abilities if you want us to. Play relaxed golf in a wonderful natural setting. Our course is located just 25 minutes from the Wellington CBD and 15 minutes from central Lower Hutt – no planes, trains or motorways to disturb your conversation. Soak up our natural setting where Tui, Lorikeet and Kereru adorn the bush clad hills that are features. We have a well rated course with holes that offer a real ‘risk and reward’ for golfers of all abilities. 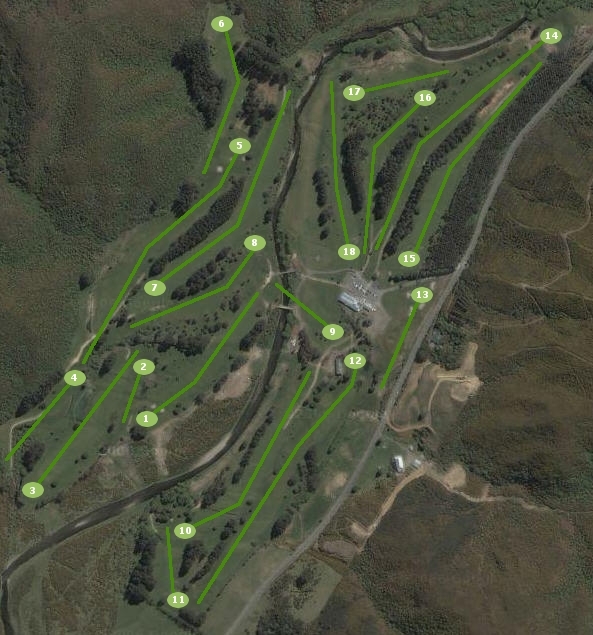 The course itself is a challenging experience with the recurring theme of risk and reward, particularly with the Wainuiomata river running through the property. Click on the course image below to go on a course tour or click a numbered hole to view hole details. The course layout as it is today. Click anywhere on the image or each hole to view. Riskend is considered a hidden jewel nestled in the peaceful Wainuiomata valley. We are grateful for the thousands of hours of voluntary efforts of many past and present members who helped to establish the existing course. Read about our clubs history. Course card is here and a hole by hole course tour is here.